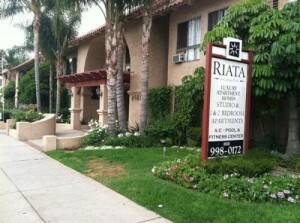 Tenants in a Canoga Park apartment complex are complaining of bed bug bites and the management apparently is not taking them seriously. The Riata Luxury Apartments seem to be suffering from a terrible infestation of bed bugs and when one tenant organized a meeting to discuss the problem, she was cited for violating a rule about gatherings. Meanwhile, the onsite apartment manager claims to have offered the tenants extermination services, which they have declined. Considering the extent of the infestation, some sort of pest control is long overdue. "Clean and sanitary buildings, grounds, and appurtenances (for example, a garden or a detached garage), free from debris, filth, rubbish, garbage, rodents, and vermin." Which means these tenants have the right to demand that their apartments be free of bed bugs. If your home or apartment is infested with bed bugs in California, Alliance Environmental Group can use heat treatment to eradicate the infestation, including eggs, without dangerous chemicals or their residue, without the need to move out for days of waiting for pesticides to disperse and without the need to bag food or wash linens. Heat treatment is the fastest, safest and greenest method of bed bug eradication, not to mention the most effective, since every bug at every stage of development is killed. Contact Alliance for more information!